Title X is a program that provides family planning healthcare to low-income women. If your pregnancy test is negative, and you do not want to become pregnant, you can apply for Title X. Title X covers a physical exam, pap smear, lab work and testing for sexually transmitted infections. The program also covers counseling about family planning choices and supplies. 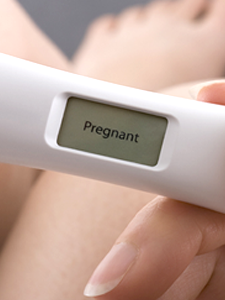 If your pregnancy test is positive, you can apply for the ALL KIDS program the same day you come in for a pregnancy test. You do not have to be a citizen, legal immigrant or have a social security number to get ALL KIDS. Preventive health services, including specific immunizations. We are dedicated to helping people reach their goals, whether they wish to prevent or achieve pregnancy. The Title X Program is currently available at our Western Avenue, Morgan Street and Berwyn primary care clinics, and in our school-based clinics at Little Village High School and Benito Juarez Community Academy. Since fall of 2001, Alivio Medical Center has been the recipient of a federal grant to provide family planning and reproductive health services for low income and/or uninsured women, men, and teens called the Title X Program. With this grant, we are able to serve approximately 2,300 persons per year and provide them with modern, reliable contraceptive methods that they might not otherwise be able to afford.